Earth Day came and went Monday, with more than 45 Navy installations celebrating the day via fundraising runs, trash pickups, tree plantings and similar activities. But a week before, the Navy released the goats. More than 100 of the grass-munching mammals descended upon Naval Magazine Indian Island, Wash., last week, according to a Navy release put out Wednesday. They’re clearing some unwanted vegetation in “a very natural way,” according to Tammy Dunakin, who has one of the better official titles (“chief goat wrangler”) at one of the better-named companies (Rent-A-Ruminant, LLC) you’re likely to see. 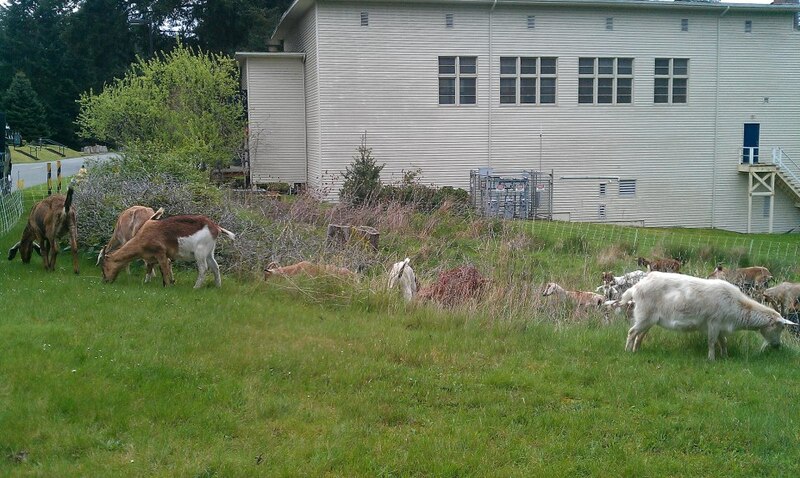 As an added bonus, the goats can access areas that could prove dangerous to human landscapers. “People don’t think about the safety aspect, but these goats will go where it is dangerous for people, where they might slip and hurt themselves,” Dunakin said. It’s tough to argue with a chief goat wrangler.